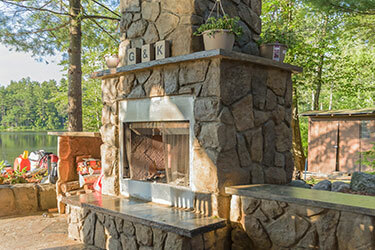 Find the perfect fireplace to enhance your backyard or patio and extend the time you enjoy in your backyard. There are many options when it comes to the size, shape and style of your new outdoor living space. We can walk homeowners through which fireplace can best suit your needs. 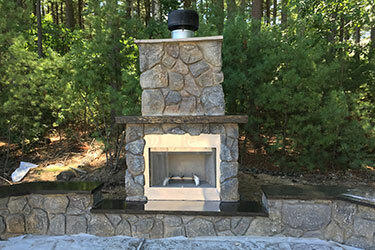 We look forward to installing your new fireplace for your backyard oasis. We are excited to help you design a fireplace that will bring everybody together for years to come. 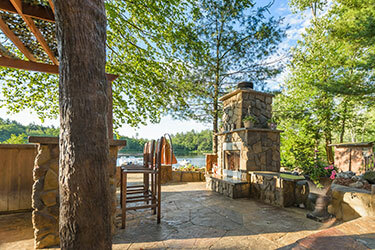 Our fireplaces can be designed to also include a pizza oven if so desired.